Evert Zeevalkink is starting to be one of my favorite “looping” artists out there. I came across a video a while back in March (you can read the post here), but today, he contacted me letting me know about a recent video. What really caught my attention in the email, he mentioned he was doing some looping, but without a guitar. He’s literally ‘playing’ the pedals. 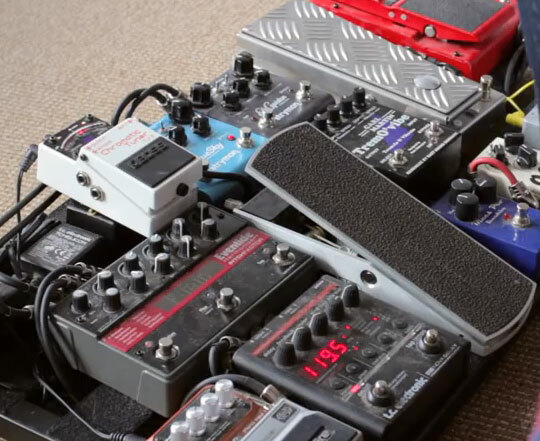 Basically, he’s using a ZVex Fuzz Probe to generate a oscillating signal/note into his pedal chain, and then he manipulates the signal – primarily with an Eventide Pitchfactor. Pretty cool! If you want to hear some great stuff, be sure to subscribe to his YouTube channel. Awesome stuff! Let me know what you think by commenting below! That was one of the most innovative and inspiring things I’ve seen in a long time. Thanks for that! I dig this. I’ll have to check out more of his stuff when I get a chance. Howard.. I really appreciate that comment! Glad you liked it.